Saturday is an Out of control Timemachine Pomping up! 20:00 CET : hosted by one of the best 80s jocks …. Tony Renzo! Out Of Control Radio on Saturday brings you the best danceable music from the 80s and 90s. Tonight in the show…. music by Luther Vandross, The jammers, remixes from DJ Fab and The italo summerclassic. The purple disco machine, Frankie Valli, The O’Jays. New music from Vision (Stephan Moser) and Flemming Dalum. This weeks 90s classic, Marco Velasguez ( Mister V ) in da house with a great extended version, Martin Boer in the mix and more great tunes 2 move your body. And at midnight Pompenburg mix show, to get you through the night. All the best of house with the famous DJ Mark van Dale ! And do join us tomorrow for more shows starting at 5pm CET! With in the evening… New Gen Artist Peter Wilson from Australia live in our mids! Gwen 04-08-2018 . Categories: DJ Mix, Nieuws, Pompenburg Mark van Dale, Saturday, Timemachine, Tony Renzo Out of Control. 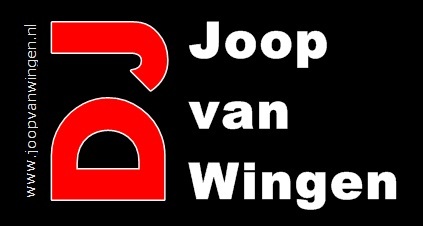 Tags: 80s Classics, 90s, Club classics, coen bom, Disco, Funk&Soul, High Energy, Italo Disco, Italo Internet Radio, Italo mix, Marc Pols, Mellow House, Out of Control Radio Show, Peter van Leeuwen, Pompenburg Mark van Dale, Radio Stad Den Haag, Timemachine Peter van Leeuwen, Tony Renzo, Trance. ← Freaky Friday in the MiX; Italo & Disco from the 80s till now !